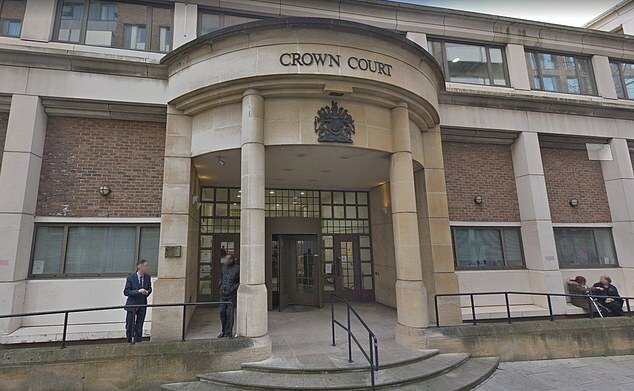 A pensioner, described as an ‘online troll of the worst kind’, made the lives of innocent families a misery as she accused parents of satanic abuse, a court heard. 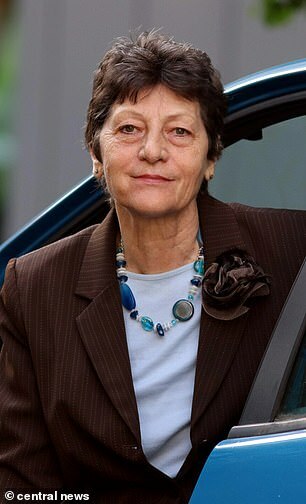 Sabine McNeill, 74, allegedly directed a campaign to uncover claims of devil worship and child abuse at a primary school in Hampstead, northwest London. Miranda Moore, prosecuting, said she harassed four mothers, who cannot be named, from 2014 until earlier this year. McNeill even claimed babies were cooked in a secret room in a McDonald’s restaurant on Finchley Road: ‘The ritual is performed on an upstairs room in McDonald’s on Mondays and Fridays. McNeill claimed up to 18 teachers from the primary school were also involved in abusing children. She said members of the cult – from all walks of society – carried out satanic rituals in secret rooms at a Hampstead church. She said police initially took the complaints seriously and interviewed the children. Describing how McNeill directed the campaign, Ms Moore added: ‘She said online that members of the public should paint dolls of the Barbie variety with red nail polish and send them to business owners in the Hampstead area. Quaintance was arrested after posting a picture of himself outside the school claiming he had a knife, the court heard. He was subsequently charged and convicted of harassment. McNeill was involved in a protest at the church in March 2015 and subsequently arrested. She was later cleared of plotting to intimidate a vicar and his parishioners after a trial at Blackfriars Crown Court, but handed a retraining order to stop her harassing the parents involved. ‘Having been told not to publish these false allegations, particularly about the school and the church, and having been before the courts on a few occasions she changes method,’ said Ms Moore. ‘She goes to what I will call the analogue method. ‘She attends the General Synod who were having a meeting to deal with the Church of England’s approach to child abuse. ‘She attends the meeting and gives out leaflets. Ms McNiell was again arrested for doing that. McNeill from Camden, denies four counts of harassment and 17 counts of breaching a restraining order. This entry was posted in Uncategorized and tagged Hampstead, mcneil, sabine, sra. Bookmark the permalink. I cannot believe these idiotic charges against Sabine, who has devoted so much of her life to fighting the causes of those who have fallen foul of the questionable justice system that prevails in this country of ours, can have been given credence. Because of other cases of victims of the corrupt legal system currently operating in UK that have been brought to my notice, I am prepared to believe anything can be made to appear possible – even probable. A very long time ago, I believed there was such a thing as British Justice; now I blush with embarrassment at my duplicity. She did admit certain charges whilst in the dock!